Good quality wooden cane approximately 79cm in length. White metal cap with repousse Royal Flying Corps winged crest. Fitted with a brass metal end ferrule. 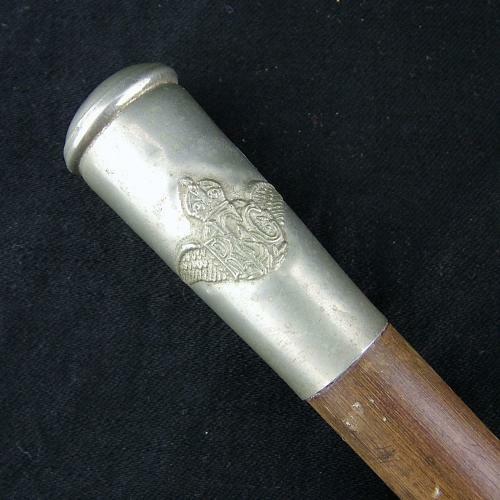 The cap has light wear and there is a fine crack in the cane running for approximately 10cm from the end ferrule. The cane remains quite straight and has a very pleasing colour and patina. No markings. Good '+' overall condition. This pattern makes a change from the more commonly found bamboo canes. Stock code M22507.